Asus ZenFone 5Z has been officially launched in India at an event in New Delhi today. The ZenFone 5Z is the latest flagship from the company which comes with premium features like Snapdragon 845 processor, dual cameras at a starting price of Rs. 29,999 in India. Asus introduced the ZenFone 5Z at MWC 2018 back in February and the company has now brought it to the Indian market. 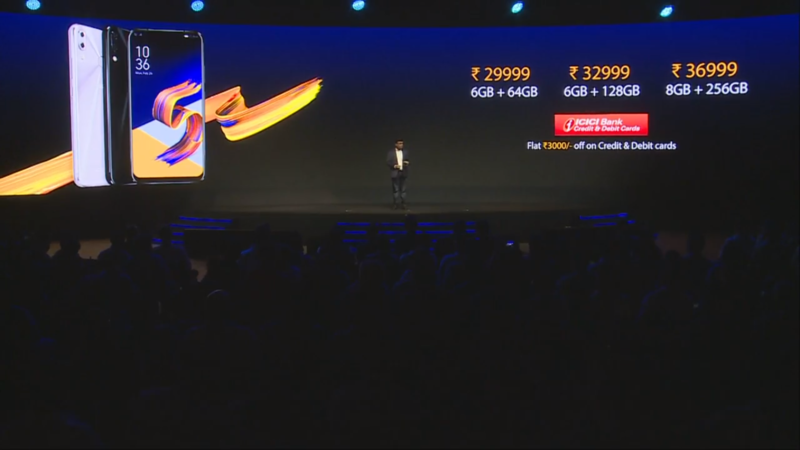 The Zenfone 5Z is Flipkart exclusive phone and it will be available for purchase in India starting from July 9. 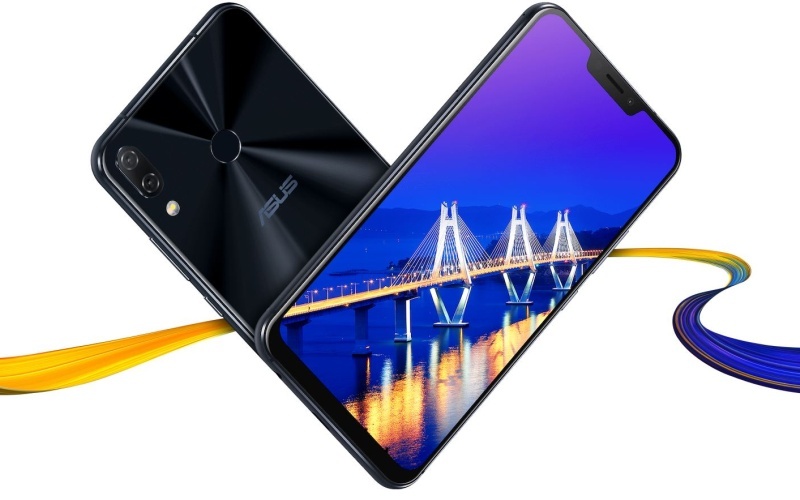 Asus ZenFone 5Z 6GB RAM+64GB storage variant is priced at Rs. 29,999. While the 6GB RAM+128GB storage variant is priced at Rs. 32,999. Lastly, the top-end variant with 8GB RAM and 256GB storage is priced at Rs. 36,999. The smartphone will be available in Midnight Blue and Meteor Silver color options. If we talk about launch offers, the company has partnered with ICICI Bank to offer Rs. 3,000 instant cashback. Flipkart also offers no-cost EMI options starting at Rs. 3,333 and a mobile protection plan at just Rs. 499. Lastly, Reliance Jio users will get Rs. 2,200 cashback and 100GB additional data on purchasing Zenofne 5Z. If we recall the specs, the ZenFone 5Z sports a 6.2-inch FHD+ (1080×2246 pixels) display with 19:9 aspect ratio and a notch on the top. It is powered by a Snapdragon 845 SoC with Adreno 630 GPU. It is further coupled with up to 8GB of RAM and runs Android 8.0 Oreo-based ZenUI 5.0. In terms of camera, the Zenfone 5Z sports a dual rear camera setup with a 12MP primary camera with f/1.8 aperture and an 8MP secondary camera with f/2.2 aperture. There is an 8MP front camera with 84-degree Field of View lens and f/2.0 aperture. The front camera supports Face Unlock feature and the device comes with a rear-mounted fingerprint scanner. For connectivity options, it sports features like Wi-Fi, Bluetooth 5.0, GPS, NFC, FM Radio, USB Type C port for data transfer and charging. For audio features, the smartphone comes with dual speakers, Hi-Fi audio, and DTS Headphone X. The smartphone has a 3300mAh battery with AI backed fast charging support.